Saligo Bay, Islay, The Hebrides, Scotland. A range of prints in various formats and sizes. From the original Scottish landscape painting. Saligo, Isle of Islay , Hebrides, Scotland – A range of prints from the original Scottish landscape painting by Contemporary artist Andy Peutherer. Original Painting – mixed media painting in acrylic paint, spray paint, oil paint and acrylic ink on box canvas. Painting & prints of Saligo Bay Winter Sunset, Isle of Islay , Scottish Western Isles by Scottish landscape painter Andy Peutherer. Framed print of Saligo Bay, Isle of Islay, Scottish Western Isles by Scottish landscape painter Andy Peutherer. 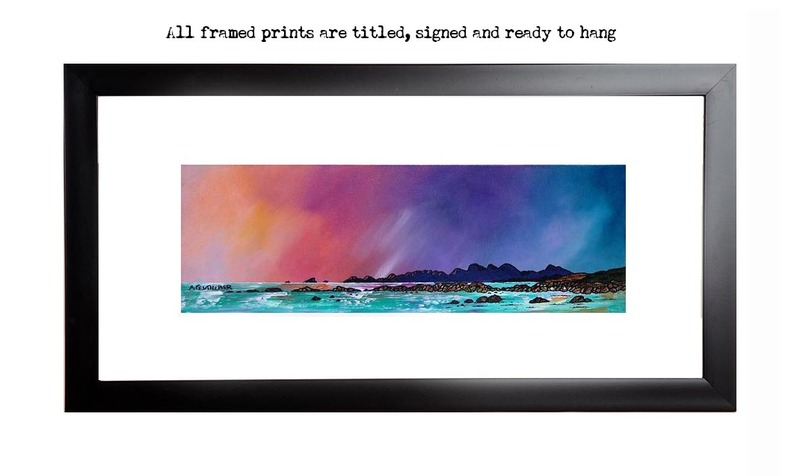 Paintings & Prints - Saligo Bay Winter Sunset, Isle of Islay , Scottish Western Isles.